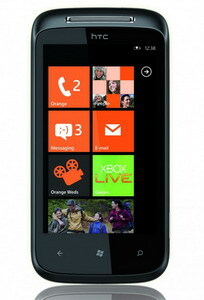 Orange UK has officially announced the HTC Mozart Windows Phone 7 phone. With a 3.7-inch WVGA resolution, Super LCD Display, 8MP camera, Dolby sound and a 1GHz Processor, the HTC 7 Mozart, exclusive to Orange, is available for free to customers who take out a £35 per month 24 month price plan. The package includes 600 any network call minutes, unlimited text, unlimited email, sat nav with Orange Maps as well as inclusive anytime internet browsing. At launch, Orange HTC 7 Mozart customers will also have the opportunity to benefit from ‘Orange Personal Trainers’, providing dedicated and expert help to ensure customers get the best out of their Windows Phone 7 phones. The personalised service, part of the Orange Care portfolio of enhanced customer care services, will be available through selected retail stores as well as from Orange telesales. In addition to the HTC Mozart, Orange UK will also offer the Samsung Omnia 7 across all its retail channels from 21st October. Samsung Omnia 7 boasts a 4.0-inch Super AMOLED touch screen, 1 GHz processor will be available for free to customers who take out a £40 per month, 24 month price plan. The package includes 1200 any network call minutes, unlimited text, unlimited email, sat nav with Orange Maps as well as inclusive anytime internet browsing. 0 comments on "HTC Mozart Windows Phone 7 comes with 3.7-inch WVGA display and 8MP camera"